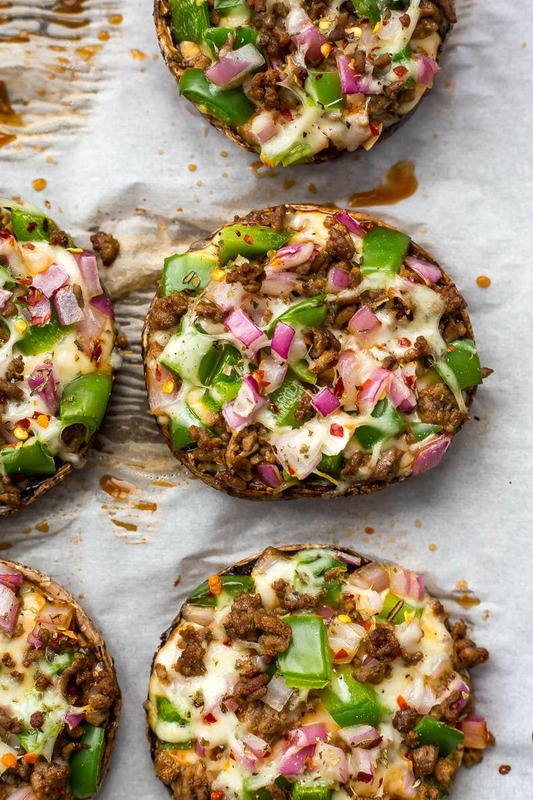 These Easy Pizza Stuffed Portobello Mushrooms are a delicious low-carb way to enjoy pizza, and they're ready in under 40 minutes - you can also make them ahead of time or freeze them! Preheat oven to 400 F. In a large skillet over med-high heat, cook ground beef for 7-8 min until fully cooked. While beef cooks, prepare toppings and grate cheese (if not using pre-grated cheese). Remove the stems and scoop out the flesh from the mushrooms. Divide pizza sauce, cheese and toppings among each mushroom, then place on a large baking sheet lined with parchment paper and bake in the oven for 12-15 minutes or until cheese is melted. Serve and enjoy - also keeps in the freezer up to 3 months. To serve, reheat at 400 for 10 minutes.